Kiwanis Trivia Night Saturday Februry 9th is a chance to have a fun night and support youth in our community. PMSA Students keep the Kiwanis flame alive. A good book can be a great escape, and you don't have to give it all your spare time. 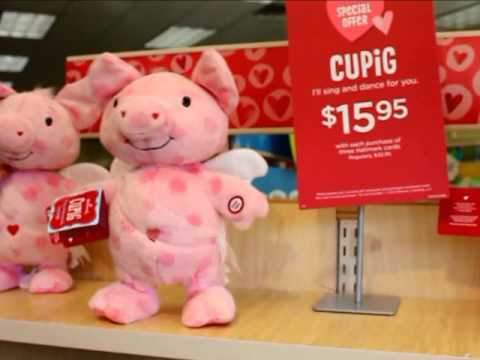 Cupig is here just in time for Valentine's Day. I know my kids will be rolling over with laughter and fall right in love with this adorable little guy. Obedience is not a real popular virtue in our society, but an interview with Bishop Charles Cairo made me think that it might be more positive than we think. A free discount prescription card available through Proviso Township not only saves individuals an average of 48 percent on their prescription costs, it also covers 25 percent of all veterinary services at participating veterinary offices. Trolls and Letters and Newspapers, Oh My! Proviso/Leyden/Forest Park Overlord Freak-out Week! I want to write a story about people referred as "none," i.e. those who answer the question "with what religion are you affiliated" with "none," but I'm having trouble finding people in their 20s to interview. Hey, it's better than what's going on, you know, over there. Having a root canal on the Michigan Ave Bridge tonight - in a swim suit - would be better than what is going on, you know, over there. You still have time to see the inspiring exhibit of Palestinian art at Grace Lutheran Church in River Forest. The exhibit ends on Feb. 4.